Are you feeling stuck in self-defeating thoughts and behaviors? If so, there is great news for you! The key to unlocking your potential and achieving more than you ever thought possible is one you already hold. It’s all in your mind. And while some people say that in a dismissive way, I’m telling you this to assure and empower you. By using simple mindful strategies, you can learn exactly how to accept yourself – including what ever happened in your past – and be empowered to move on toward your greatest successes ever. Your thoughts become your reality. This means that in order to initiate change in any area of your life, the first step begins with your mindset. Contrary to what many people think, you actually can train your brain to act on a mindset of your choosing. This begins with the habit of practicing mindful strategies. It has been established that the mind is always thinking and processing. Some of this is happening consciously as a result of your effort to think about a particular situation or problem. Other thoughts are happening subconsciously. Practicing mindfulness allows you to tap into the abilities of your subconscious mind in an intentional way. By carefully honing your thought patterns and mindset through mindful strategies, you can improve your mental clarity, boost your ability to cope with stress, and seriously enhance your self-assurance and belief in yourself. When you believe in yourself, truly anything is possible. The first step to using mindful strategies is to learn how to listen to yourself. If it’s difficult for you to really listen to yourself at a deep level, meditation is a time-honored practice that has been used for millennia. By quieting yourself through the practice of meditation, you can achieve a greater degree of mindfulness to truly empower yourself. This happens because meditation makes it possible to be fully in the moment, making it easier to truly experience any thoughts or emotions that come up, and lovingly accept yourself exactly as you are. 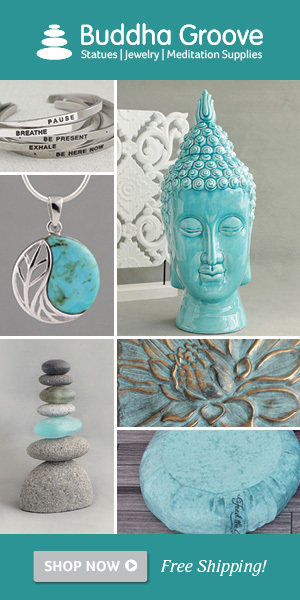 Meditation begins with deep breathing, often while sitting or lying down. Others, however, prefer to meditate while walking in a beautiful natural setting. While inhaling, visualize mental clarity filling you completely from your head to your toes. As you exhale, focus on feeling your stress exit your body. Pay attention to your emotions, sensations, and thoughts, especially those that come as a surprise to you. Why is it important to let buried thoughts and emotions surface? Thoughts and emotions that are buried in the noise of everyday life can keep you paralyzed in fear and unable to achieve your greatest potential. This happens when you are unaware of these thoughts and emotions, but they’re still there, often fueling negative self-talk. While you are meditating, if negative thoughts about yourself start to emerge, you can lovingly correct the thoughts. You can acknowledge the thought and thank it for giving you the opportunity to speak truth to yourself. Then replace the thought with words of acceptance and empowerment of yourself as you are. Over time, you will rewire your thought processes and create new patterns of thought and action that empower you to the success you are truly capable of achieving. Not sure where to start? 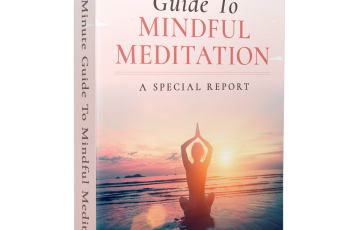 Download a FREE copy of My 5 Minute Guide To Mindful Meditation.